There are many ways to remember our fallen brothers and sisters on Memorial Day. For veterans and their families, it is a solemn event that needs prayer and reflection. For others, it's an annual family celebration with food and drinks. 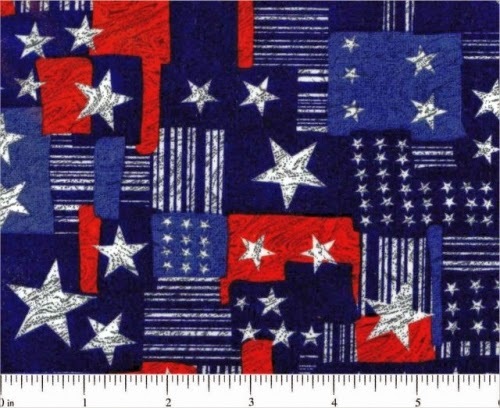 But for crafters, it's an opportunity to create new patriotic craft projects. 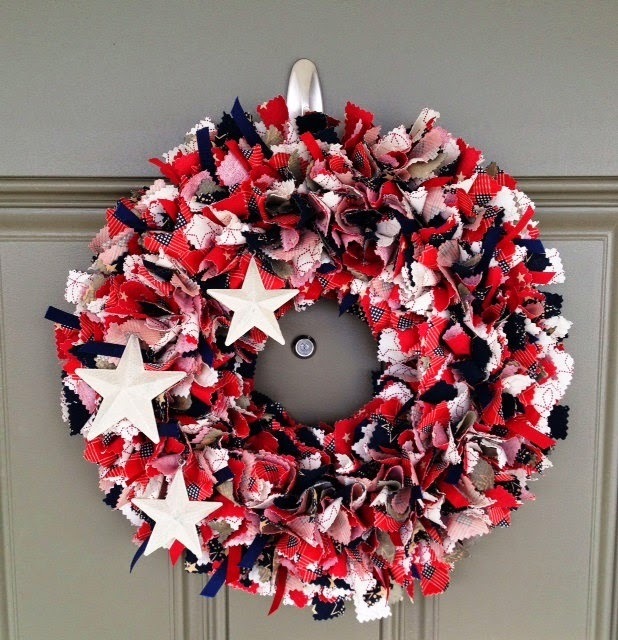 One simple way to let everybody know that you remember those who gave up their lives in service is to hang a wreath on your front door. 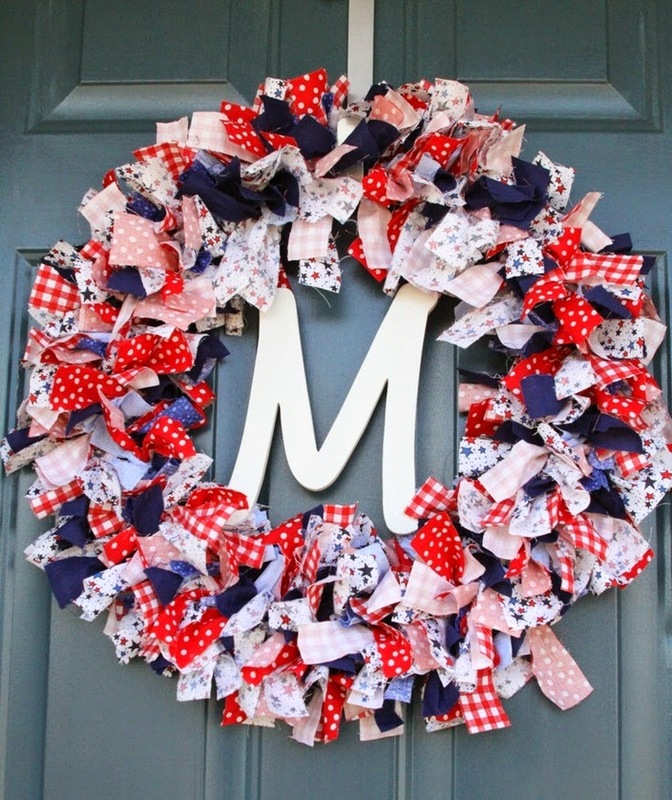 Here are some DIY Memorial Day wreaths to inspire you if you're planning to make one. 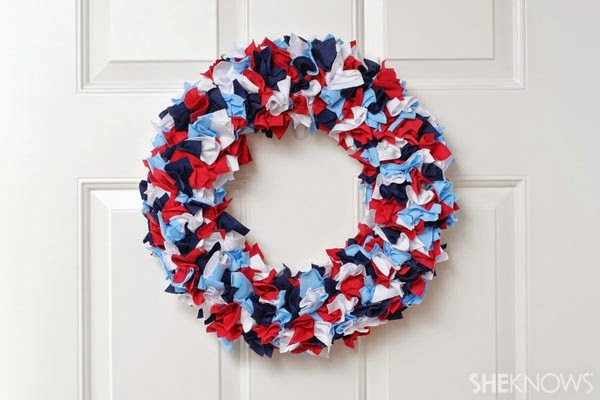 This Memorial Day wreath from SheKnows.com is made up of Jersey fabric scraps in red, white, and blue colors. Cut up 3-inch squares and fill in a wreath form. Here's a wreath from Etsy.com. 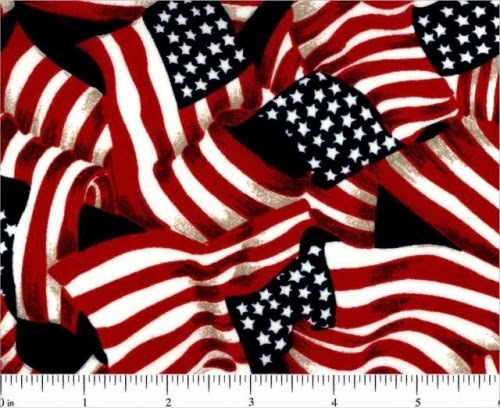 You may use Memorial Day inspired printed fabrics and cut them into strips. The M plate in the middle makes a great accent. Another from Etsy.com, the crafter used pinking shears for finishing fabric edges then added 3 rustic stars for decoration. Memorial Day Grapevine Wreath by CrookedTreeCreation Etsy Shop. An Easy-peasy project. 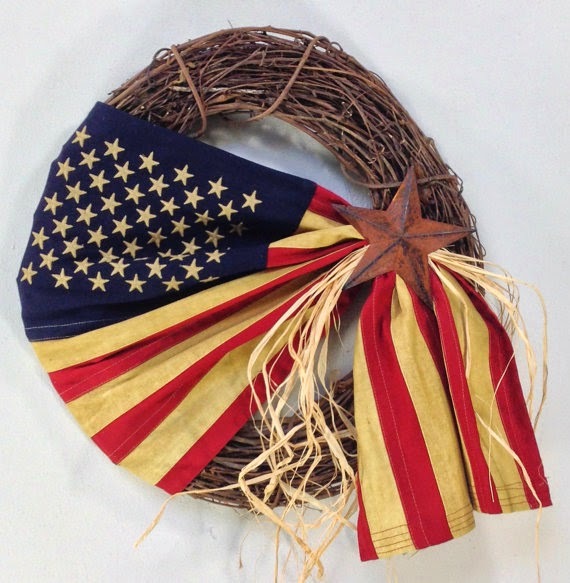 Grab a grapevine wreath, a flag (or a fabric with flag prints), raffia bunch, and a rusted metal star. 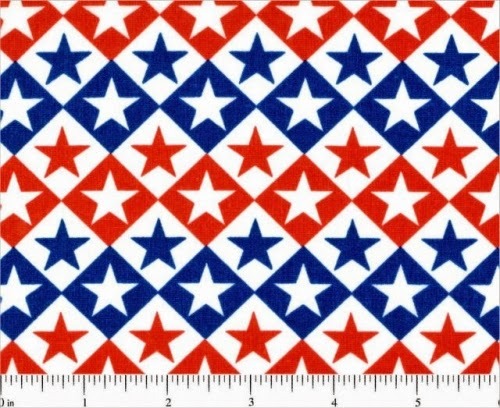 FabricLovers.com has a variety of patriotic fabric that you can use for Memorial Day crafting. 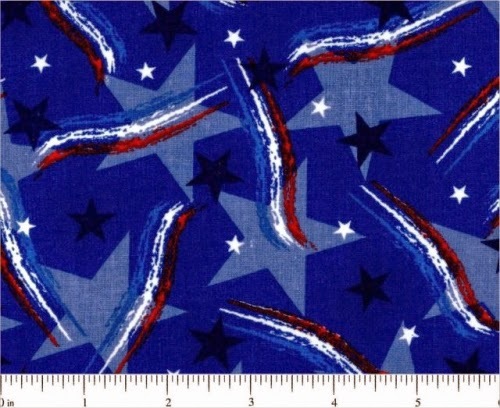 You may choose from plain reds, whites, and blues or from fabrics with stars, stripes, and flag prints. 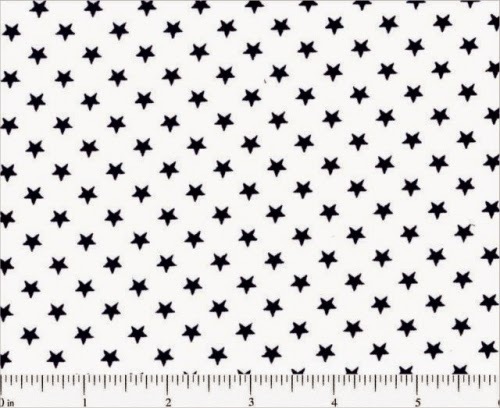 The samples below are perfect for inspirational quilts, buntings, throw pillows, and more. 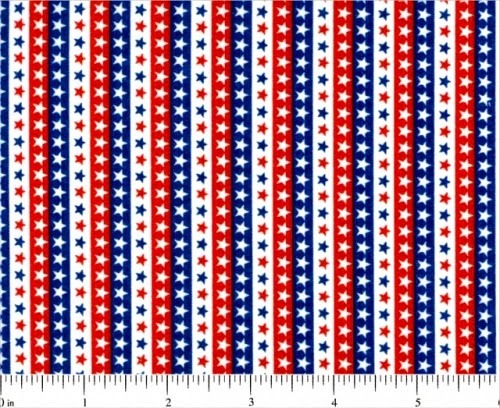 Check out the Patriotic Fabric section to view more patterns and designs.